Was it a gangbusters Christmas shopping season as forecasts and anecdotal evidence suggested? 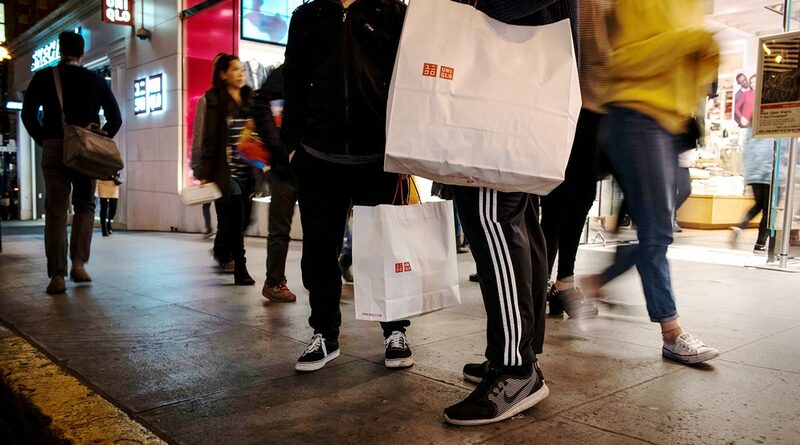 Were consumers making big discretionary purchases in addition to essential spending as they entered 2019, even as some surveys showed confidence was waning? The answers will have to wait, as December retail sales won’t be released as scheduled Jan. 16 while the Commerce Department remains closed. Failure to reopen soon also would delay personal income and spending data, due Jan. 31. Without the government’s retail report, it also is difficult to accurately gauge how consumers are spending on big-ticket items such as cars. Meanwhile, Mike Manley, CEO of Fiat Chrysler Automobiles NV, said he’s “concerned” about the shutdown’s impact on the company’s efforts to introduce crucial new heavy-duty pickups. “They feel incredibly good about the economy but very nervous about where things are headed,” CEO Rodney McMullen said Jan. 13 in an onstage interview at the National Retail Federation’s annual trade show in New York. Credit card results from companies including Visa and Mastercard would help fill some of the void. The Fed’s Beige Book release Jan. 16 also may provide anecdotal details on spending and other parts of the economy. That’s why some investors are taking the data disruptions in stride. Still, companies depend on broader economic data to make investment decisions, and without it they are “to a degree, flying without any instruments,” NRF Chief Economist Jack Kleinhenz said.